California regulators have ordered Uber to stop its brand new self-driving ride-sharing service in San Francisco on its very first day of operation for not having a state permit necessary for the program, according to the Associated Press. 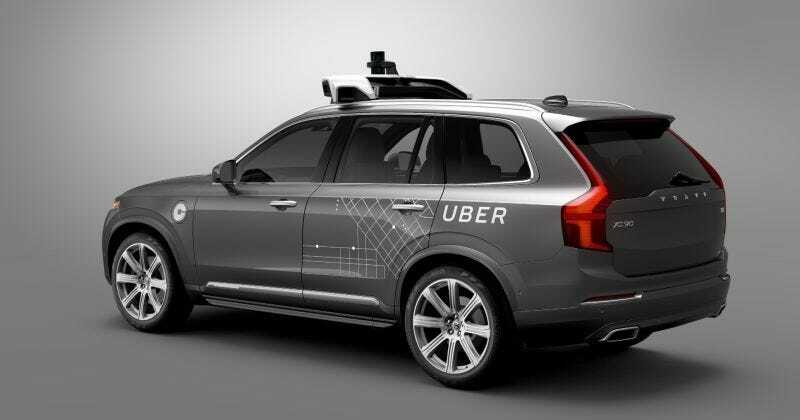 Uber’s self-driving car service’s first day has already been rough when video, captured by a taxi cab dashcam of all things, caught one of the service’s converted Volvo XC90s running a red light, forcing the company to investigate. Now California regulators want to shut it all down according to the Associated Press, as it appears Uber doesn’t have the autonomous vehicle testing permits the state requires to operate its new San Francisco service. Uber is not included on the California Department of Motor Vehicles list of companies that have been issued permits. The program uses a fleet of self-driving but non-autonomous Volvo XC90s that are capable of controlling and navigating the streets using computers and sensors, but still requires an Uber driver in the front seat for the computer to yield control over to in tougher situations. It’s surprising that a company like Uber would get all the way to launching a program that carries civilian passengers in a vehicle driving itself without considering that it might have to get permission first. Jalopnik has reached out to Uber for comment and will update when there’s more information available.